“terrorized into silence” by hate-filled online harassment from anti-vaccine activists. Since they have almost no scientific evidence supporting their anti-vaccine ignorance, the anti-vaxxers must resort to hate speech to try to shout out the facts about vaccines. For years, I have watched some of my favorite writers, like Dorit Rubinstein Reiss (who frequently posts content to this blog) and the insolent Orac (yeah, most of us know who Orac is, but it’s hysterical to read articles where the science deniers think Orac is me, Dr. Paul Offit is me, or Dr. David Gorski is me. Oh, wait, Dr. Offit is me again? On 20 November 2018, the California court of appeal for the third appellate district, in a strong decision, rejected a challenge by the anti-vaccine organization A Voice for Choice and three individual plaintiffs to SB277, California’s law removing the personal belief exemption to school immunization mandates. The decision included scathing criticisms of the arguments and a powerful endorsement of school vaccines mandates. This article will examine yet another SB277 lawsuit rejected by courts. The first iteration of the lawsuit in question here was first discussed in November 2016, and it was then filed with a federal district court. After the initial rejection of that lawsuit, it was refiled with a state court, and after that was rejected, the plaintiffs appealed. The court opened by stating that “Plaintiffs’ arguments are strong on hyperbole and scant on authority.” Its decision drew extensively on the California Court of Appeal, Second Appellate District’s decision in Brown v. Smith, and on the federal district’s court decision in Whitlow v. California (discussed here). Setting the ground, it explained the act, and its purpose “to provide “[a] means for the eventual achievement of total immunization of appropriate age groups against [certain] diseases.” (§ 120325, subd. (a). )” It explained the need for the act – the measles outbreak centered on Disneyland and the warning it provided that vaccine rates are too low, and exemption rates increasing too fast, and in some areas are dangerously high. We review the complaint de novo to determine whether it alleges facts sufficient to state a cause of action. For purposes of review, we accept as true all material facts alleged in the complaint, but not contentions, deductions or conclusions of fact or law. We also consider matters that may be judicially noticed.” (Brown v. Smith, supra, 24 Cal.App.5th at p. 1141.) We may affirm a trial court judgment on any basis presented by the record whether or not relied upon by the trial court. De novo means the appellate court is not bound by the finding and conclusions of the court below but reevaluates the claims from scratch. As the court explained, it is assuming factual claims are true, though if there’s judicial notice of well known, external facts, it can reject clearly implausible claims. Note that a demurrer is usually sustained with a “leave to amend” because the court thinks it is possible for the plaintiff to state facts sufficient to constitute a cause of action. In this case, the demurrer was sustained without leave to amend because the court believes that the plaintiffs’ claim is so weak that no amending of the complaint will solve the fundamental problems. A substantive due process claim argues that the government overstepped in interfering with individual rights, beyond a legal standard. It cited multiple cases upholding vaccine mandates and criticized the plaintiffs for not addressing them and responding to them. I’m not sure that’s completely fair – the plaintiffs did try to address at least one of the cases the court pointed to, Zucht v. King and the decision later responded to that. But the court is completely right that plaintiffs did not succeed in providing a convincing reason to reject that abundant jurisprudence. I agree with the court’s conclusion, but I would support it differently. First, at least one famous bodily autonomy case – Schloendorff v. Society of New York Hospital – dates to 1914, while Zucht is a 1922 case, so the timing does not fit the plaintiffs’ claim. But more importantly, while I think the bodily autonomy cases would be important if a state were to impose an adult mandate, that’s not the issue here. These are children who are required to be vaccinated – and bodily autonomy does not work quite the same way. The children are not capable of making autonomous decisions, and the issue is not their autonomous choice not to be protected from diphtheria, measles, hib, etc. – it’s their parents’ choice not to protect them. There are other arguments against the cases, but I want to keep this short, so I will not go into detail about them. The court gave short shrift to the plaintiffs’ claim that SB277 violates privacy, because when dealing with health matters, the review is under rational-basis review, and the desire to prevent dangerous diseases trumps it (to those interested in a longer analysis, I engaged in one here). Probably the strongest claim plaintiffs had is the claim that SB277 violates the right to education – though even that is not particularly convincing. But the Court rejected this claim easily, too, because the two previous decisions – Brown v. Smith and Whitlow – already dealt with the issue. The court found that the precedent enshrining the right to education – Serrano – did not apply, for two reasons. Second, and just as important, even assuming the statute was held to strict scrutiny because education is a fundamental right, the court already explained that it can pass strict scrutiny. Finally, in a very short statement, the court agreed with the Brown court that SB277 did not violate religious freedom. In short, this decision agreed with previous jurisprudence that school mandates are constitutional and valuable. SB277 lawsuit rejected – what next? A Voice for Choice has two choices. It can accept the loss and go home, or it can try and appeal to the California Supreme Court. Not appealing has advantages: this is an unpublished decision, and as such, does not serve as a precedent – it cannot be cited or relied on. It is, however, binding on the parties to the case. A Supreme Court decision, if one happens, could well echo the strong endorsement of mandates, based on strong evidence that they work and an extensive jurisprudence, and would change the legal situation for the worse – it would end the issue in terms of California law (since the claims in this lawsuit are mostly state claims, the California Supreme Court is the last word on them). On the other hand, not appealing gives up a chance to change the legal situation, leaves SB277 intact, and leaves in place the other appellate court decision – Brown v. Smith – supporting it. If A Voice for Choice appeals, the Supreme Court will get to decide whether to take the case. The California Supreme Court takes very few civil law cases, and this one is based on extensive jurisprudence rather than breaking new ground – so there is a strong chance it will not be taken up. On the other hand, the court may want to address the question of immunization mandates in current times. The state requested that the court’s decision be published. On December 6, 2018, the court granted the request, giving the decision precedential force. The Love Plaintiff requested the Supreme Court of California to review the case. The California Supreme Court, like the majority of the highest courts in the states, generally has discretion on whether or not to hear cases. On 13 February 2019, the Supreme Court declined to review the case, making the court of appeals decision final. On 14 August 2018, fourteen-year-old Christopher Bunch died from acute disseminated encephalomyletis (ADEM), leaving his loving, devoted family reeling. The family blamed his death on the HPV vaccine that Christopher received, and they were quickly surrounded and courted by anti-vaccine activists. My heart goes out to Christopher’s family. I followed the case since he was in the hospital, hoping and praying with them for a good outcome, and I feel their heartbreak. I was also deeply impressed by their initial reaction, which was to create a positive legacy for Christopher, making him visible and famous. 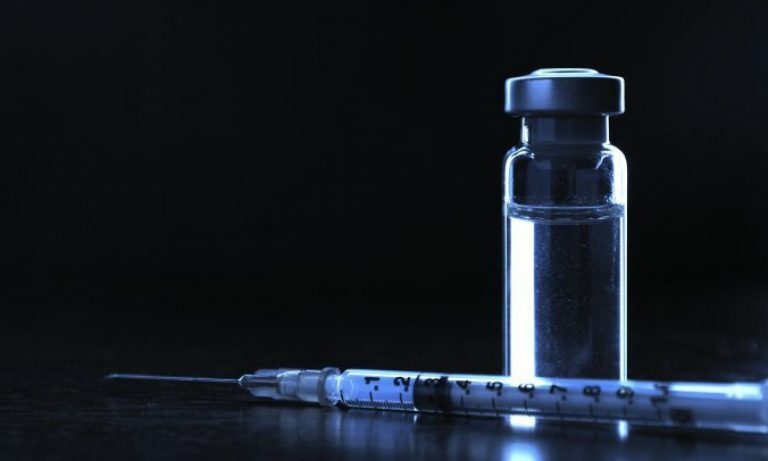 Anti-vaccine liability – should they pay for the harm they cause? Recently, Professor Dorit Rubinstein Reiss wrote an editorial in the San Francisco Chronicle about anti-vaccine liability – should parents who refuse to vaccinate their children be financially liable for the harm they cause to others? Professor Reiss lays out a compelling case as to why it should happen. Professor Reiss, a frequent contributor to this website, is a Professor of Law at the University of California Hastings College of the Law (San Francisco, CA). She writes extensively in law journals about the social and legal policies of vaccination–she really is a well-published expert in this area of vaccine policy. Additionally, Reiss is also a member of the Parent Advisory Board of Voices for Vaccines, a parent-led organization that supports and advocates for on-time vaccination and the reduction of vaccine-preventable disease. She has written other articles about anti-vaccine liability – here and here. This is an issue that many of us think about when anti-vaxxers put not only their own children but also many others, at risk of dangerous diseases.